At the Boston Public Garden, you can take your date on a leisurely stroll, and call yourself a true Bostonian. Did you know it’s the oldest botanical garden in the country? You get the chance to chat up your date in a laid back and free way. 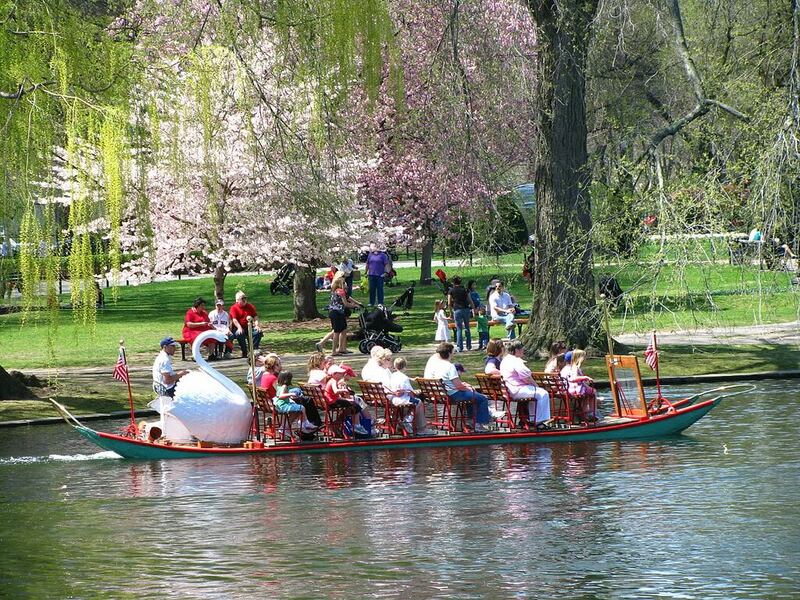 If sparks are flying, take it to the next level with a ride on the swan boats. You’ll feel like Eric in the The Little Mermaid, just waiting to kiss the girl. Laughter completes the recipe for a stellar date. 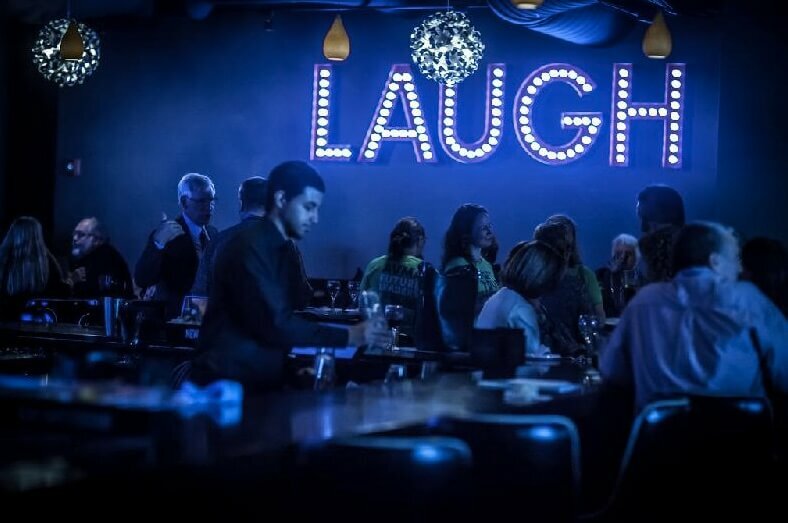 Head over to Boston’s Seaport District in the Westin Waterfront Hotel for stand-up comedy shows every Wednesday through Saturday night. You can even make exploring the Seaport District part of the date. Plenty of top national improv and sketch comedy groups have graced Laugh Boston’s stage. Be sure to catch their most popular weekly show, Boston Accents. Do the classic dinner and a movie date right by going right by Fenway Park. “My go-to date is definitely the Wahlburgers at Fenway and the Regal Movie Theater right across the street,” said Boston College junior Amanda Bolanos. 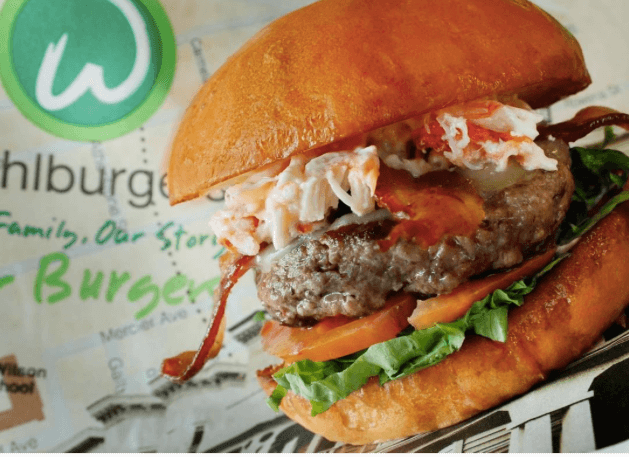 Mark and Donnie Wahlberg’s brother, Chef Paul, owns Wahlburgers, located right off the Fenway stop on the D line. They offer a great selection of burgers, obviously, along with other favorites that scream Amurica. End the night getting cozy to a rom com at the theater right across the street. Take a day and discover your new favorite eatery. Try oysters for the first time—you never know where it might take you. “Barcelona is fun and adventurous because the menu is kind of funky. Barking crab is on the waterfront and has great lobster rolls. 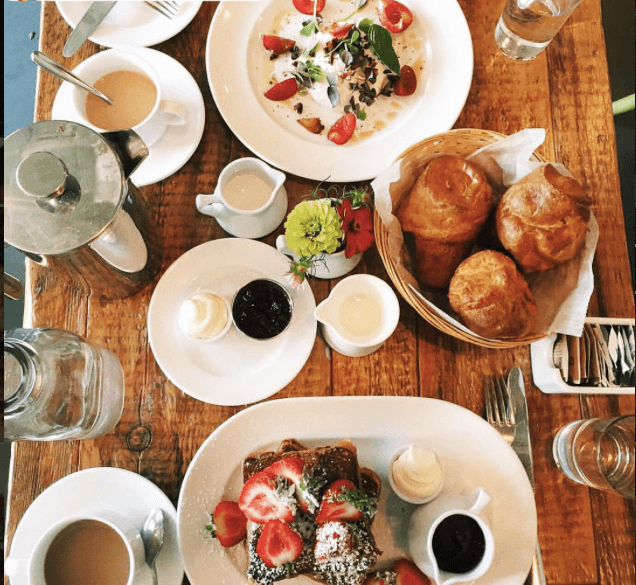 Farmstead table in Newton Centre is super quaint and cute,” said BC junior Whitney McDonald. You can even make this a weekly date with your S.O., uncovering the best eats in town. Once the first snowflake hits the pavement, ice-skating is one of the sweetest dates out there. 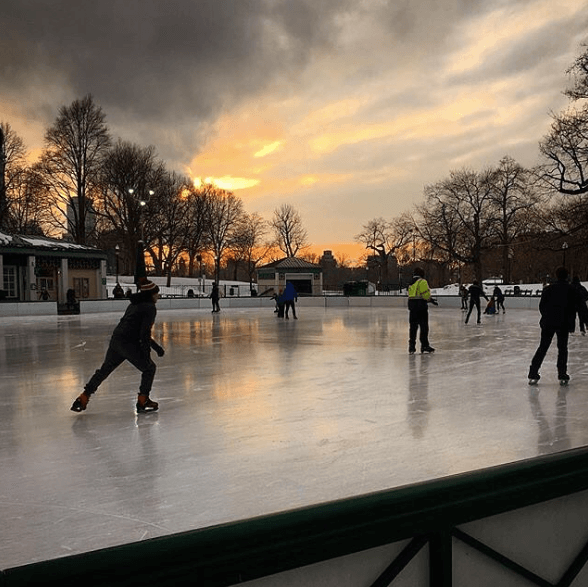 “I really love being outside and being active, even in the winter, so this is a great way to get out and enjoy the scenic side of Boston. It’s also a nice way to spend some quality time with a date in a low-pressure setting,” said BC junior Alexis Grimard. Having a date night overlooking the harbor is one for the books, but it gets even better when surrounded by the ocean. Take a ride around the harbor while you enjoy a wonderful meal. “I have gone on a date on the dinner boats in Boston. It was extremely fun & had a lot of options. But at the same time it wasn’t too long in case you got bored,” said BC junior Jordan Chimento. 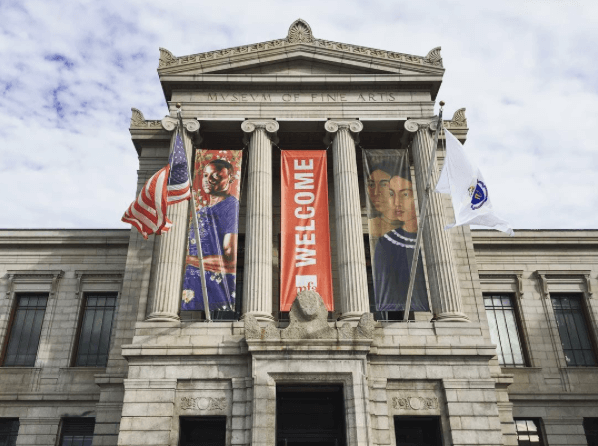 Take advantage of Boston’s rich history and play tourist for the day at the museums. The Museum of Fine Arts has free admission free on Wednesdays after 4 p.m. and the Institute of Contemporary Art offers free admission on Thursdays from 5 pm-9 pm. Plus, if full-time undergraduate or graduate students at participating colleges and universities in Massachusetts, New Hampshire or Maine, can show their school IDs and get into the MFA free of charge. And if not you’re necessarily all that into historical art, try the Institute of Contemporary Art which shows you modern, funky installations. 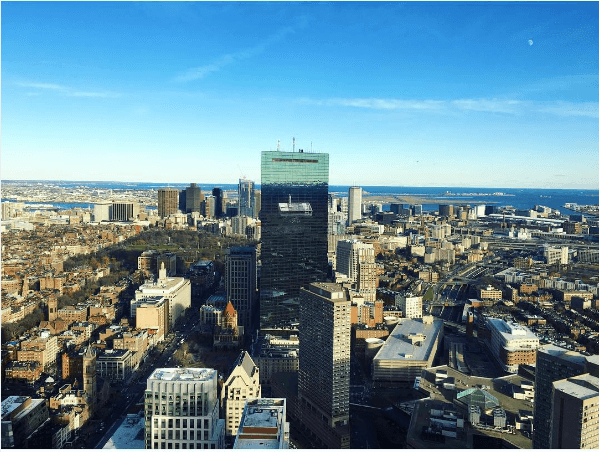 In the heart of Boston, on the 50th floor of the Prudential Center, the Skywalk Observatory gives you a bird’s eye view of the beautiful city of Boston. Yes, it’s one of those touristy attractions but it also makes for a wonderfully romantic night looking at the skyline. And, after snapping some pics of the city, you can go back downstairs to the Prudential Center shops and treat your date to a gift to remember the night. Movie night takes a whole new meaning at the Coolidge Corner Theater. This independently operated theater shows old time classics and movies, like “Chinatown” and “Hell or High Water,” that haven’t been shown in the theater in ages. So take a night and travel back to the good ole’ days with some classic cinema. 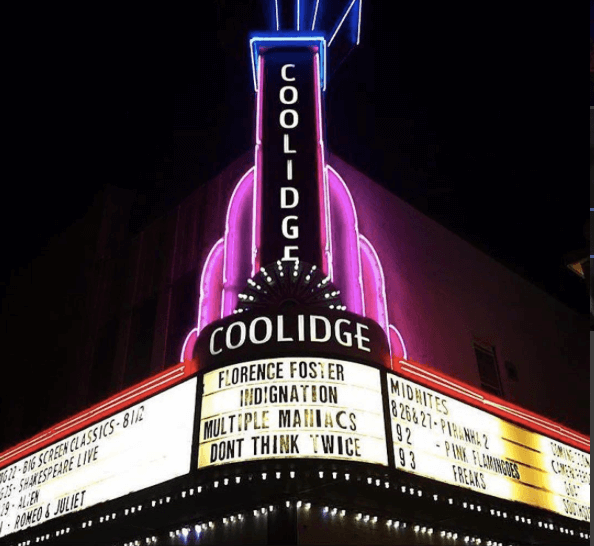 The Coolidge Corner Theatre can be found in the heart of Coolidge Corner, right next to the Parisian Creperie and a cozy little Italian restaurant sure to ease any of your first date worries. A trip to the New England Aquarium offers endless date possibilities. It can be a great way to walk around and learn about the penguins and the jellyfish, or a sweet way to vibe with your date while holding hands and snapping selfies with the fishes. “The penguins and the top of the tank are great to watch, plus there’s the ice cream sandwich truck nearby,” said BC junior Eilis Bacon-Blabber. Penguins and ice cream—what’s not to love? Looking for a different take on Shakespeare that’s sure to make both you and your date laugh out loud? SH*T-FACED SHAKESPEARE puts on a serious Shakespeare play with an entirely sh*t­faced cast member. This incredibly hilarious and interactive show has been running since 2010, entertaining over 40,000 eager theatregoers across the UK. 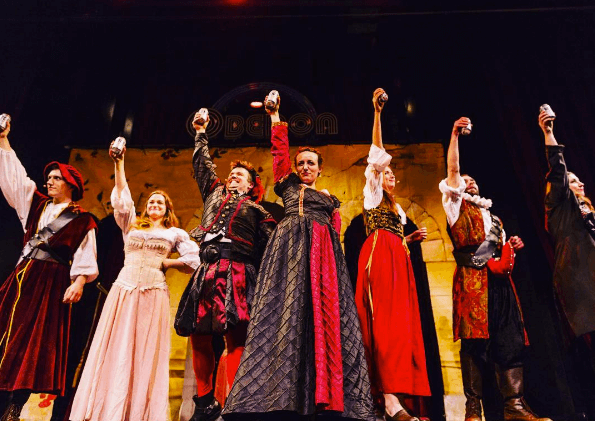 Because of its success, the show made its way to the U.S. and has been enjoying successful runs of A Midsummer Night’s Dream and Much Ado About Nothing in Boston. For those of you with an opera bug: Boston’s own Cerise Lim Jacobs created the Ouroboros Trilogy, three grand operas that explore the interconnected themes of life, death and rebirth. The three operas will be shown separately, so if you like the first show, you have two more dates planned out! Or, if you want a longer date, there will be a full-day marathon showing all three operas. Want to spend a night watching a musical without spending a lot of cash? Go see Company! 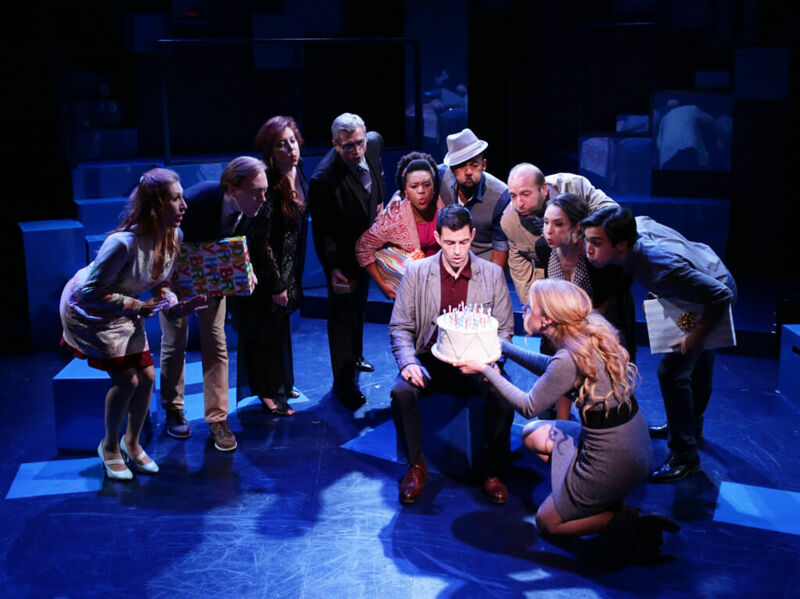 This musical gives you a different look at the modern romantic relationship while making you laugh. It has been called a groundbreaking and insightful musical, so snag two tickets from the TodayTix app and see for yourself. Company lets you tell your date that you have a bit of a cultured side, but aren’t afraid to laugh out loud every now and again. You’ll be singing the tunes of the show all the way home. The North End, the center of Boston’s Italian community, houses the two best places to get a cannoli: Mike’s Pastry and Modern Pastry. Take a night to try them both and decide which you and your date prefer. Start with dinner in the North End and be sure to order spaghetti and meatballs to do your own rendition of Lady and the Tramp. 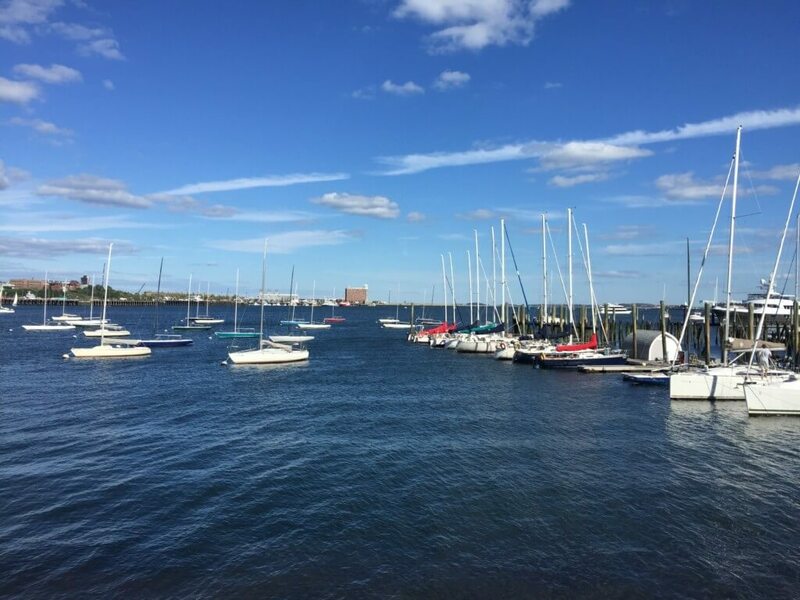 “I know one of my favorite dates in the city is getting Mike’s in the North End and then walking down along the Harbor walk. It’s easy, fun, and can be as romantic or casual as you want it to be,” said BC senior Amanda Maguire. 15. Shear Madness: Boston’s Hilarious WhoDunIt! Shear Madness: Boston’s Hilarious WhoDunIt! allows the audience members to decide the ending. This unique comedic play takes place in a hair salon; during the show, someone commits a murder and the audience must spot the clues and question the suspects. The play pairs together comedy with a mystery for a fun-filled night. You and your date can spend the night learning how to work together as a team to solve the crime. The same person never commits the crime twice so you can always go back the next night to sharpen your skills. 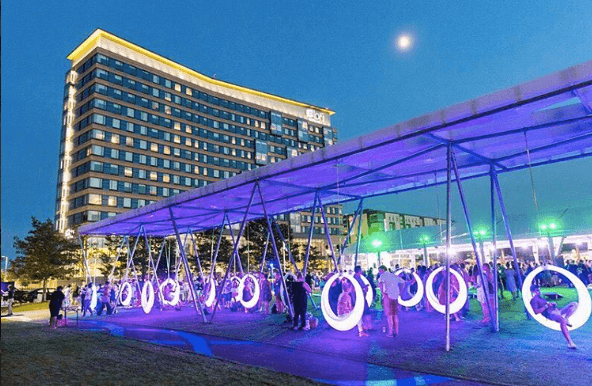 The Lawn on D right off of the Red line lets adults give in to their inner child by swinging on lit-up swings. Definitely Instagram-worthy photo-ops right here. “This weekend I went to the Lawn on D in the evening and there was live music going on. I wouldn’t mind going on a date there with the cozy lights and the music. I enjoyed the ambience a lot,” said BC senior Ester Torras Bigas. As fall starts so does apple-picking season. 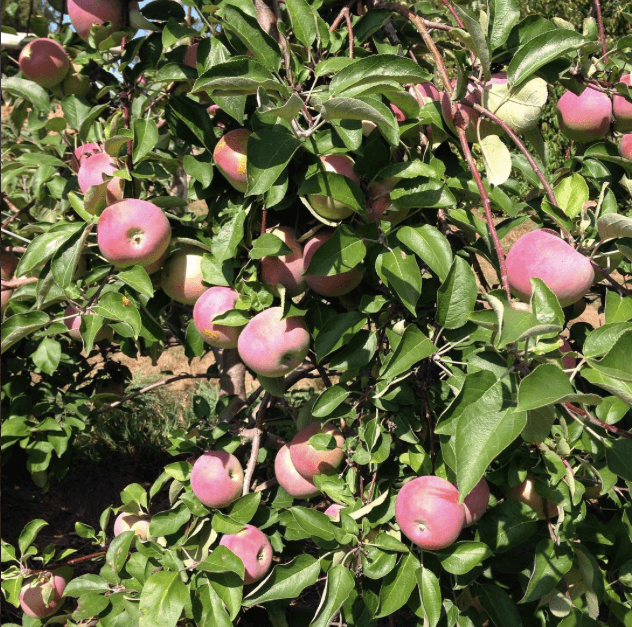 Spend a couple of hours outside the city and in the apple orchards. Going on a sunset hayride for romantic touch. “I love going apple picking. It’s super relaxing, you can take hay rides or walk throughout the orchard, and then bakes lots of yummy desserts. It’s just a classic New England thing to do,” said BC senior Kimberly Bretta. Turn this into a follow up date by baking a homemade apple pie the next night. You get the chance to show off your culinary skills or you get to laugh a lot if you’re the kind of chef who can’t even toast bread without burning it. Most people don’t think of the library when planning date night, but in this case, you should. 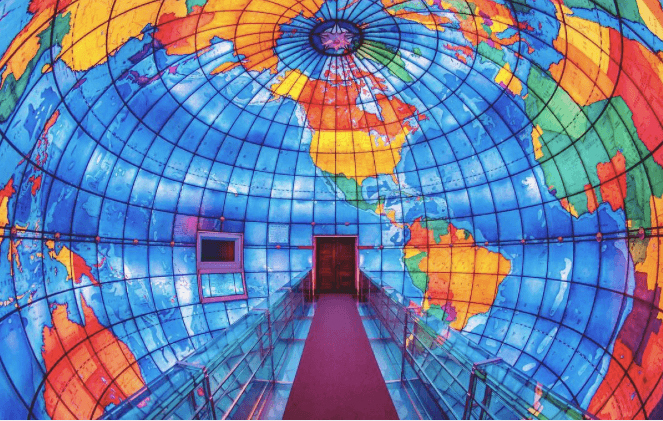 The Mapparium, at the Mary Baker Eddy Library, is a world-famous, three-story stained-glassed globe. Stop in before heading to dinner in the city or plan a study date at the Mary Baker Eddy Library and surprise your partner with this piece of art. You walk in on a bridge and the stained-glass world instantly surrounds you. Cue the romantic photo-op. 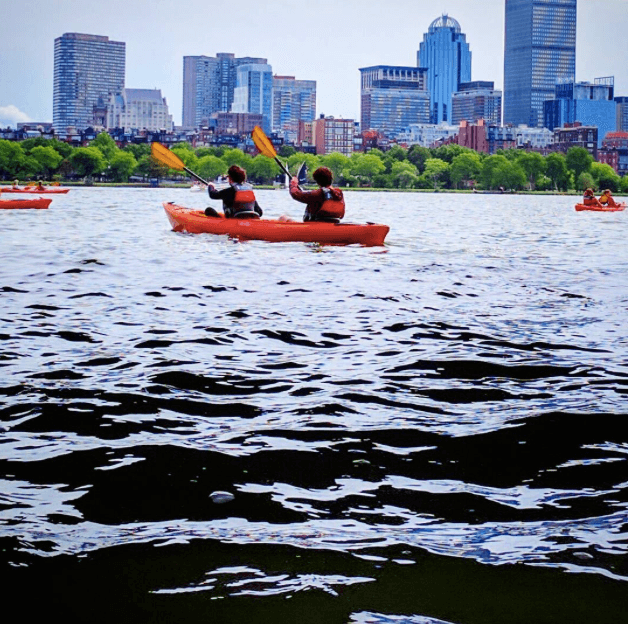 For the outdoorsy, adventurous type, take your date kayaking on the Charles River on a Saturday afternoon. You get a workout in too. Spending quality time in nature makes for a special experience. Rental spots along the Charles offer kayaks by the hour so you can keep the cost pretty low. Breathe in that fresh air while staying in the city. Boston offers so many options for food: Chain restaurants, holes-in-wall, or even food trucks. 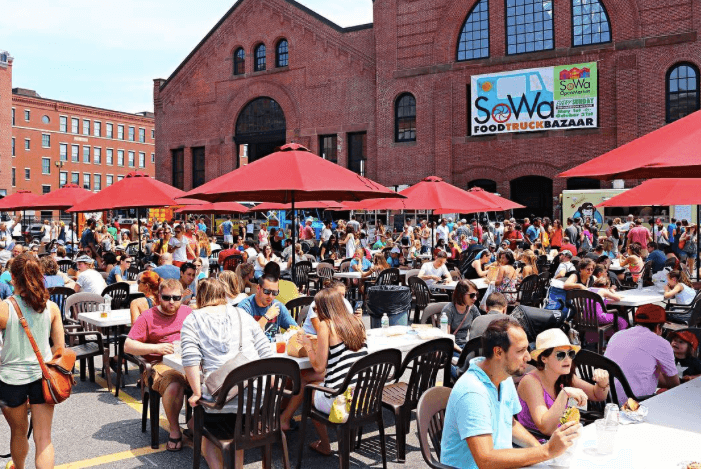 The SoWa Open Market, a food truck bazaar, opens every Sunday from May 1 to October 30. “A good date spot in Boston is the Sowa food trucks every Sunday afternoon. They have tons of interesting tents set up along with great food. The atmosphere is really calming and fun,” said Chimento. Get there before it gets too chilly outside. After October 30? See #5.